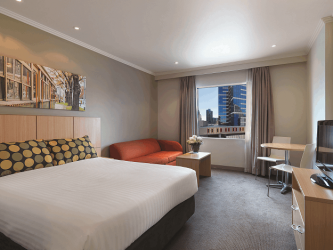 Melbourne Short Stay Apartments - Southbank Collection is perfectly located in the heart of Melbourne's arts and cultural precinct. 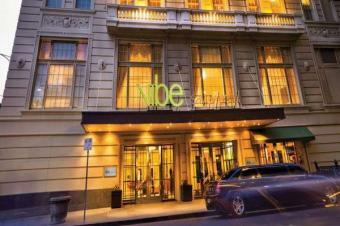 The hotel is just metres from the National Gallery of Victoria, Southgate and Federation Square. The many theatres, performance venues and galleries of Southbank are all just a short walk away. NOTE: Room is based on 1 Queen Bed. Ideally positioned for you to experience all that this vibrant city has to offer. 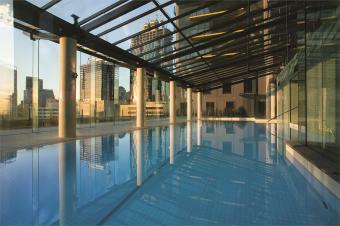 You'll be within easy walking distance to restaurants, cafes, great shopping, art galleries and the Crown Casino. NOTE: Room is based on 1 Queen Bed or 2 Single Beds. Bonus: 1 FREE night for stays 1 Apr - 21 Aug 19, 25 Aug - 25 Sep 19 & 16 Dec - 25 Dec 19 (already included in the price). The Savoy Hotel on Little Collins is a beautiful Art Deco style hotel located just a short distance from the hub of Melbourne's Collins Street and is the ideal base to take advantage of all Melbourne has to offer. The hotel features 163 stylish and spacious guest rooms.